Demographic changes over the next decade will drive a shift in demand as Gen Y — now aged around 20 to 35 years old — begin transitioning into ‘family phase’. This could underpin the next boom in real estate, with a strong focus on small-dwelling design. Changes to the age profile of the population over the next decade are expected to drive a shift in the type of demand for dwellings as Generation Y begin to move into their next stage in life. But there is evidence that this generation will potentially buck the trend of previous generations and live in smaller dwellings, which could reshape apartment designs in the future. Over the past 15 years there’s been rapid population growth among 20-35 year olds, driven by a combination of the movement of Gen Y into this age group, and the strong net overseas migration inflows, which have also been concentrated in this age group. This has helped to support the boom in apartment construction in the past decade by supplying a steady stream of new tenants to the market — with design geared towards Gen Y renters living as singles, couples without children, or in shared households. But over the next decade Gen Y will represent the acceleration in household growth of those in their late 30s and early 40s. 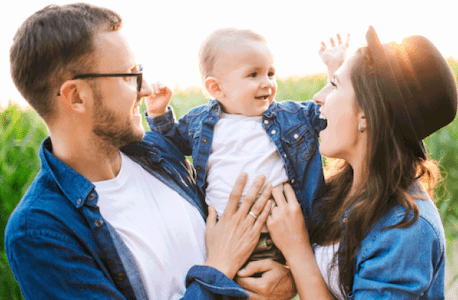 By this stage, Gen Y will be increasingly coupling up and moving into the family-forming stage of life, and many will be looking to purchase a dwelling. Now, if Gen Y follow the trend of the previous generation and both eschew renting and favour larger dwellings as they enter the family-forming stage, this will support a decade-long boom in demand for new houses and land in the new housing estates on the outskirts of Australia’s big cities and affordable major regional centres. But there is strong evidence to suggest that people are trending the other way and staying in smaller dwellings, such as apartments and townhouses, longer. Take Sydney, where this trend is most apparent: over half (53%) of households who have just moved out of the Gen Y age cohort and are now aged 35-39 live in these smaller dwellings. So do nearly half (49%) of households where all children are at preschool age. Households have typically favoured townhouses over apartments, although in Sydney — and to a lesser extent Melbourne — there has been an acceleration in the take-up of apartments by both groups since the 2011 Census. The trend has been similar, although much less pronounced, in Brisbane, Adelaide and Perth. It’s likely that rising house prices and decreasing housing affordability in the most desirable locations in the capital cities are causing an increasing trade-off for some couples and families, with many now buying smaller and more affordable dwellings so they can remain close to their desired location. If this trade-off activity increases as Gen Y ages, then multi-unit dwellings and new apartments will need to be designed to be more appropriate to family life, offering more space, both indoor and some outdoor, or located adjacent to public outdoor spaces. Smaller dwellings that meet this need will be in high demand in the future. Let us know what your Gen Yers are thinking about property. It is an important topic as it will impact dramatically on the value of property in the inners suburbs.